On Sunday 11th February, our trio of hikers began scaling Mount Kenya, Africa’s second-tallest mountain, to embark on a three-day ascent towards its third-highest peak – Point Lenana at 4,985 metres. 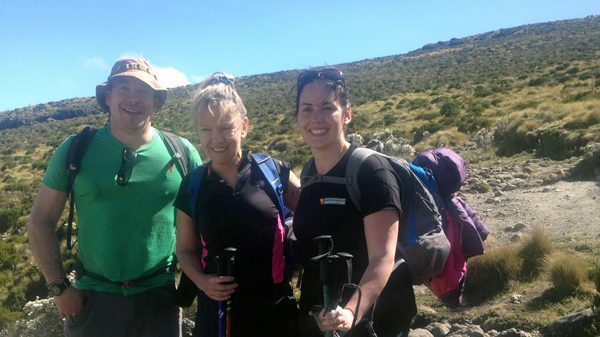 Claire, Dave and Kate were in good spirits and supported each other every step of the way as they prepared themselves for everything the gruelling climb could throw at them. Luckily, they experienced good weather and they spent the second day with a beautiful backdrop of clear blue skies, making for picturesque scenery and stunning views across the horizon as they continued their ascent. On Tuesday, the team were delighted to reach Mount Kenya’s summit, Point Lenana, and stopped to breathe a sigh of relief, enjoy the views and celebrate their magnificent achievement! The toughest part was over and now they could focus on the descent and, subsequently, the well-earnt rest and relaxation that awaited their tired bodies and wobbly legs! Day Three – summit reached! 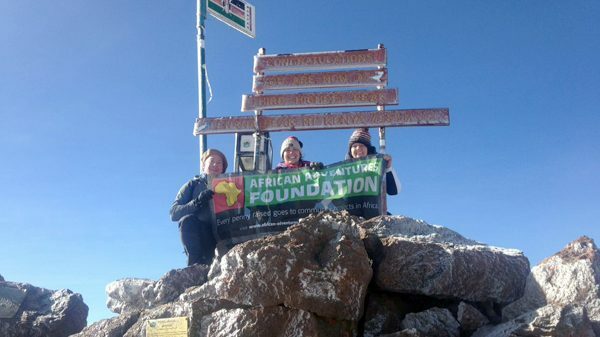 This climb is African Adventures Foundation’s second Mount Kenya charity challenge and, as with all of our fundraising, 100% of all funds raised go directly to supporting the development and growth of our partner projects. The first Mount Kenya climb raised over £10,000! 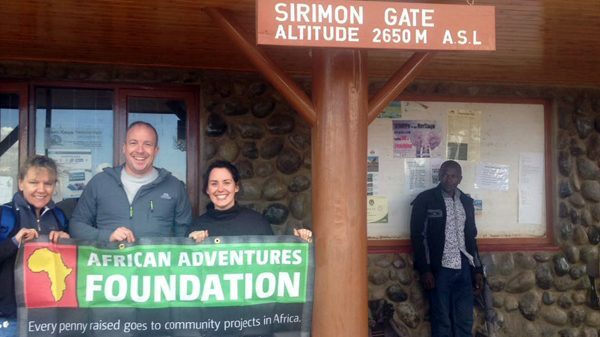 Find out how you can participate in a Mount Kenya Charity Challenge for African Adventures Foundation.